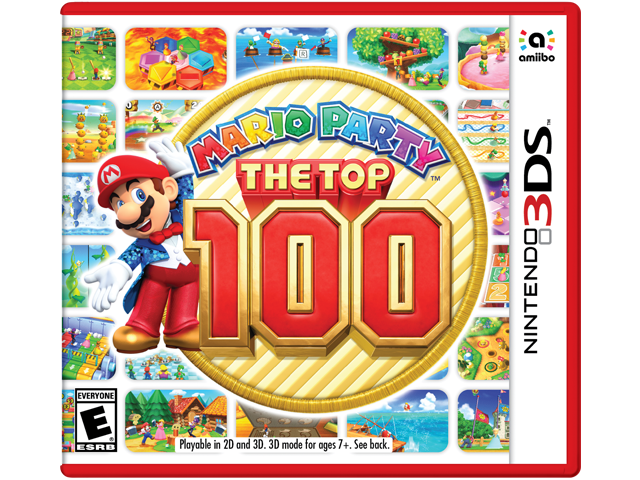 The Ultimate Mario Party with the Top 100 Minigames in Mario Party™ Series History! Ever partied with Mario? Stuffed mouthfuls of pizza? Dodged penguins? Well, the party is back with the top 100 minigames in Mario Party™ series history! Test your memory, speed, and luck in a variety of multiplayer minigame types. With Download Play, up to 4 players can party on their own system with just 1 Game Card! This time the fun comes faster, thanks to some fresh features, including a Favorites option for quicker minigame selection and streamlined instructions. Start playing and pretty soon you'll find there's only enough room for the best at this funfest!